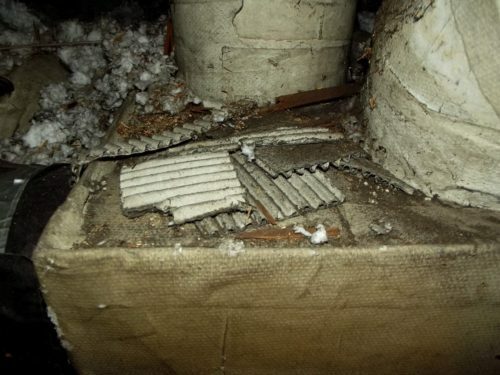 Asbestos Information - Charles Buell Inspections Inc. Some in depth information about Asbestos from Caoimhín P. Connell, of Forensic Applications Consulting Technology Inc.
Before we look at asbestos in light of carcinogenesis, lets look at cancer causers and carcinogens. Although “cancer causing agent” is apparently a self-evident term, the term “carcinogen” is less tangible and has been evolving to keep up with our state of knowledge. Like so many other terms, the root meaning of the word remains the same as when it was first created, but its usage, for right or wrong, has been altered. (Rather like the Old (Catholic) Celtic Church wherein certain heresies notwithstanding, we still use specific references, otherwise rejected… it too is a long story). First, “carcinogen,” which strictly translated means “giving rise to carcinoma.” Carcinomas, strictly translated are malignancies of tissues known as the epithelium. But then, if an agent causes a malignancy to occur in other parenchyma, apart from epithelium, what do we call the agent? A “carcinogen,” of course, because the use of the word is no longer exclusively reserved for carcinomas. Thus, agents which produce sarcomas are now also termed carcinogens since the use of the word has been altered to fit the need (in spite of the imprecision). It is generally assumed (in the industrial hygiene world, anyway) that on the road to cancer, one must first have a neoplasm (a tumour). The suffix –gen of “carcinogen,” implies that the agent causes the neoplasm. In fact, carcinogens are roughly divided into two groups: genotoxic carcinogens (which are “instabilities” in the DNA) and epigenetic carcinogens (wherein the tumour is produced as a result of tissues having to repair themselves too many times.) Genotoxic carcinogens are those agents which can interact directly with a cell’s DNA, corrupting the strand and resulting in an inheritable somatic mutation passed from initial cell to subsequent daughter cells. Epigenetic carcinogens, by contrast, appear to promote and/or otherwise enhance the probability that a converted cell (the neoplastic cell) will “dedifferentiate” (forget who it is, and what it is supposed to do) and (very importantly) loose its ability to properly communicate with surrounding cells and the rest of the total organism’s system. Therefore, we have agents which cause a cell to mutate (genotoxic carcinogens) and agents which promote the mutation of a cell (epigenetic carcinogens). Yet we still refer to those promoters as carcinogens even though it is currently not thought that the promoter causes the cancer. Therefore, we can have a “carcinogen” that doesn’t even cause a neoplasm, much less a carcinoma. Contrary to common belief, there are very few commonly agreed upon confirmed human cancer causing compounds. Although there are certainly hundreds of carcinogens, to memory, there are only about 23 confirmed genotoxic cancer causing compounds; 5 epigenetic compounds, and 5 that appear to be in a grey area. (This is from memory. It is possible that the actual numbers are slightly different). And yet we have hundreds and hundreds of compounds listed as carcinogen. So, from whence comes the difference? From the fact that a compound no longer needs to cause a malignancy of any parenchyma to be classified as a carcinogen. For each of these, for the functional definition of a carcinogen to be realized, it is assumed that a sufficient dose has been received to result in a cancer; and thus begins the road to the highly contentious question of how much is required which in turn begins to form the now commonly used term “carcinogen.” (I will go into that more if anyone is interested). Typically, in the US and Canada, we run into chrysotile asbestos, so I will focus on this material (although there are many other forms, each having different human exposure limits based on their inherent toxicity). I actually prepared a lot of the following discussion for some home inspectors at another location some time ago. The white asbestos found in the US and Canada, usually belongs to the “Serpentine” family of minerals and is called “chrysotile.” The chemical composition of white asbestos is chemically very similar (virtually identical) to talc since, like so many other minerals, white asbestos and talc have a typical, but not a definitive chemical composition. However, two chrysotile asbestos specimens may actually have different chemical compositions, but are both called chrysotile based on morphological (crystal) characteristics. Similarly, two minerals may have exactly the same chemical formula but may actually be two entirely different minerals. For example, chrysotile and antigorite both have the chemical composition of Mg6Si4O10(OH)8, but chrysotile is an asbestiform mineral and antigorite is not an asbestos or asbestiform mineral. 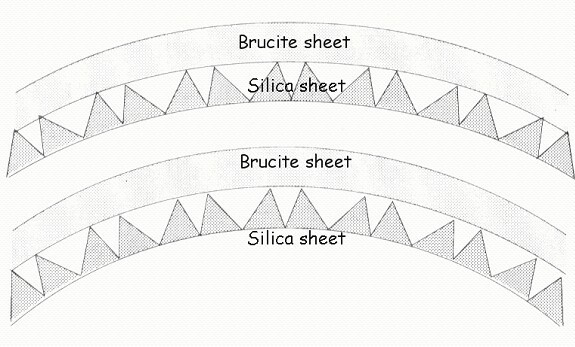 However, if the two sheets simply layer one on top of the other, they form a curved sheet resembling a rolled up spiral; this is a form of chrysotile (go to http://forensic-applications.com/misc/chrysotile.jpg). This structural arrangement produces irregular bond angles and non-symmetrical charge distributions which renders the microstructure inherently less stable than other silicates. It is for this reason that chrysotile is readily attacked by organic acids and is rendered unstable in the biological environment. This is, in my opinion, one of the important aspects which begins to toxicologically differentiate the white asbestos from other asbestiforms. Hydration in asbestiform minerals is very important and speaks to the “carcinogenic” power of the material. It is usually referred to as “dustiness” and “harshness” of a particular lode of mineral which appears to be associated with the size of the radius of the helix. The greater the degree of contamination, the greater the diameter of the helix, and the greater the “harshness.” Similarly, the “harshness” seems to be associated with the structural water content. One author suggests that fewer water molecules in the lattice make the fiber harsher and subsequently easier to bind to cell membranes. He (the author, Langer) notes that exposure to the dust of heated chrysotile products convey greater biological potential than does exposure to the unaltered original material. In addition to structurally altering the shape of the mineral, contaminants also alter the stability of the crystal lattice. Substitutional cations such as nickel and iron (which replace the magnesium) are readily leached out of the lattice in the biological enviro nment. Which further creates instability of the structure. Presuming that the definition of the mineral is, at least in part, incumbent on its structure, by inducing morphological changes one changes the identification of the mineral. Thus, non-curling chrysotile (especially in the presence of aluminum) becomes known as a lizardite (Caruso L.J;, Chernosky J.V. The Stability of Lizardite, Canadian Mineralogist, Vol. 17, pp.757-769 (1979)) mineral. Since chrysotile is not a chemically defined substance, there is a spectrum of chemical compositions wherein the magnesium is substituted to varying degrees with aluminum and other cations. The more substitution by aluminum, the more probable that the structure of chrysotile will “flatten out” resulting in the non-asbestiform mineral called lizardite or antigorite. While there is, I believe, very little contention concerning white asbestos and, say, pneumoconioses and asbestosis, there is some contention with the carcinogenicity of the serpentines vs. the amphiboles. In particular, there is controversy over the ability of the serpentines to cause plural mesothelioma and pericardial mesothelioma and or lung cancer. It is certainly a fascinating toxicological issue, not yet resolved. So, when you find asbestos, think about that. Also, is there a reason for a Home Inspector to sample for asbestos? Sure, why not? I think it’s a good service to offer your clients. 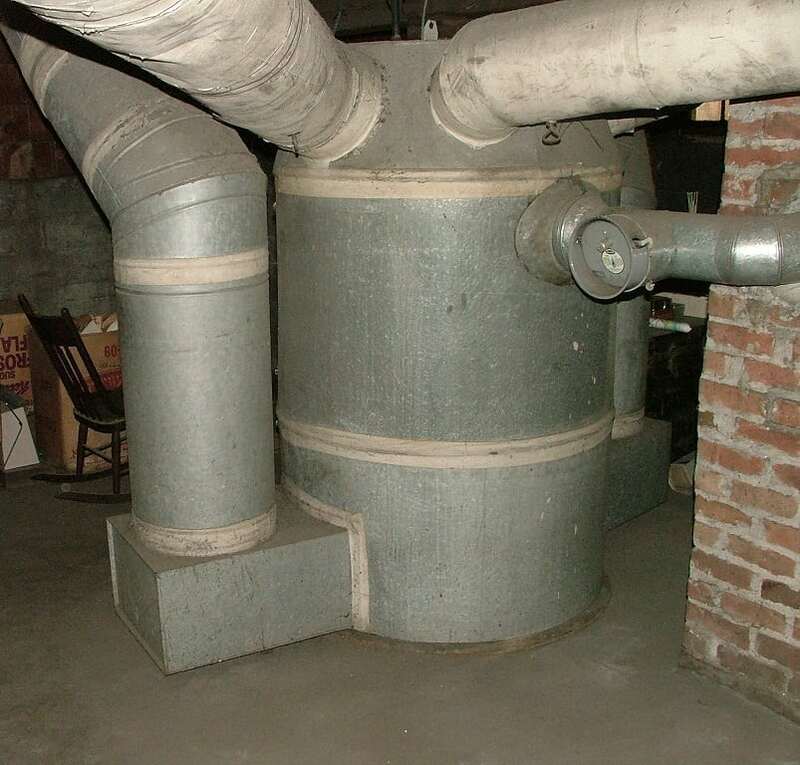 Bulk sampling for asbestos is cook-book stuff, and an HI can learn how to do proper sampling from EPA guidelines (wherein the data quality objectives (the sampling plan) are already developed, and the sampler needs only to follow the step-by-step directions). However, some states regulate who can (and cannot) perform such sampling, especially in commercial buildings and the Feds regulate who and how to sample in schools for compliance issues. 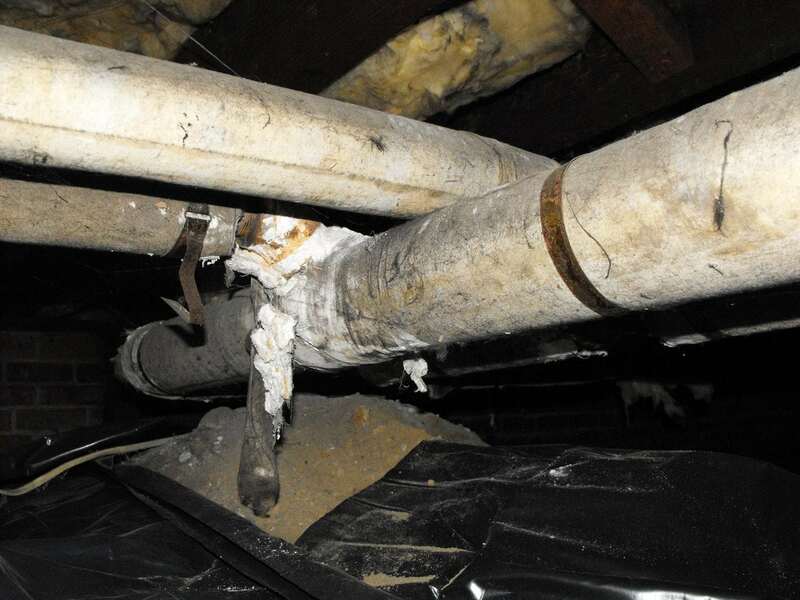 There are some “secret” ways to structurally alter asbestos in situ so that it remains chemically the same, but is no longer asbestos. How odd is that? Anyway – there’s my chrysotile diatribe……..